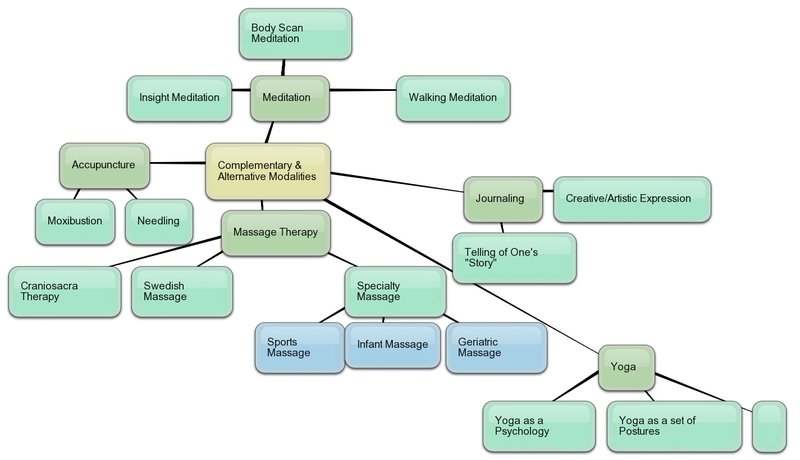 Although it doesn’t show everything, it does give you a good idea of some of the modalities can be used. To see it larger, go to Katie’s blog. In the past few years I have been looking into Alternative Medicine since I am not all that happy with traditional medicine. I am tired of pills, blood tests, and all of that – certainly isn’t doing good things to my body. 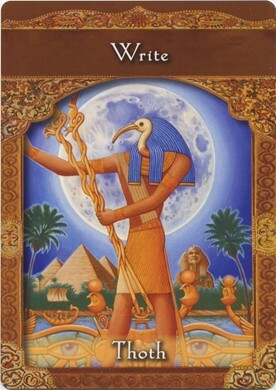 I am working on what the root cause of my experience is and what in my thought patterns, emotions, energy, etc. – what people might call woo-woo, airy fairy or touchy feel stuff. Since it is out of the mainstream, most people think it is a lot of baloney. However, I am finding more and more that it is helping me and it is a community I feel more at home. I have often felt out-of-place and uncomfortable in the business world where cold calls, networking and all that “Life is real, Life is earnest” competitive stuff. I decided to have fun with my promotional marketing business and see how that works. Though I have found in the last two years I haven’t been working with my business because of Mom and taking care of her affairs, a broken hip and lately with finding an adult family home, then applying for Medicaid and then 5 weeks of flu. So in between taking care of all those things, I have had some regular clients still ordering and I have done a lot of work on myself. I have a couple of immediate goals, one is to get my energy back and continue working on my healing and spiritual awareness. I also am at a crossroads in my life – do I want to continue promotional marketing or go with a specific direction? I also have some things I want to do that are my own, this is now the time for me to do it. Yesterday when I was having my massage, Debye was working on the back of my left hip and suddenly the words “stuck energy” came up. Later I told her about it and she said she felt the release of energy when she was working there. To some that just touchy feel stuff and weird or oddball – it really isn’t anything. It felt right to me. I am married to a Point A to Point B guy – the straightest path between 2 points. I am a Scenic Route. This applies to traveling in the car as well as how we talk or do things. I don’t say much to him about what I am learning and experiencing because he thinks it’s goofball stuff. We are each entitled to our own opinions, his interests are aviation, car and heavy-duty trucks and their parts, what’s going on in the world and at home – he doesn’t understand my stuff. We always used to say “You don’t have to be crazy to live in our family, but it helps”. 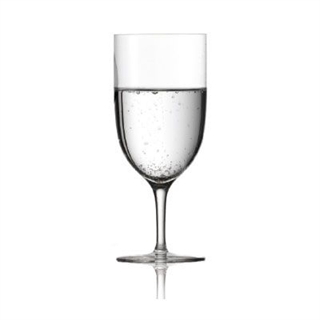 One thing I learned from Debye was asking Dr Lang – an ascended master – to put his “something something” in a glass of water by my bed at night. In the morning, I would drink it. He saw me doing this for quite a while and finally asked what was I doing? Was it hocus pocus water? Rather than explain, I told him “Yes, it is.” I think there are times when he doesn’t quite know what to make of me, what I think and what I do. I found a really cool stemmed glass at Good Will for my hocus pocus water. 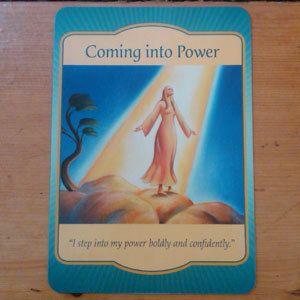 I would have had this post done on Friday but I have been looking through the Soul Card Monday readings looking for certain cards that came up. Then I spent a lot of time trying to get them on the same line, but I keep forgetting that what I see as I write is wider than the actual blog. Hence photos have a tendency to not fit it. I am still getting the hang of how to put things in and to make it look good. I also spent a long time looking for something to illustrate woo woo or goofball – mostly what I found for woo woo was a drink that had booze in it, not quite what I had in mind. Well, that’s the thing about writing a blog, sometimes everything really clicks and other times it gets a bit cattywampus. This week is cattywampus. Enjoy! This is the post I have been working on since Feb 10th – In many ways it still feels as if it is still a work in progress. Isn’t that Life after all? I ask the question because I have been reading Louise Hay’s book “You Can Heal Your Life” and many of the things I am looking at have stubborn as the cause. I don’t think of myself as stubborn – I check the dictionary and it says: Having or showing dogged determination not to change one’s attitude or position on something, esp. in spite of good arguments or reasons… Now is that really me? Let’s face it, I feel as if I have spent my whole life doing what others wanted, not always willingly or with good grace. However, the more I have thought about it, the more I wonder if it has to do with seeing myself as a victim – of RA, other people, circumstances, etc. I have finally realized and understood that I have always felt I was an innocent victim sideswiped by RA for no reason – not quite accepted it or willing to admit it out loud much. I have felt helpless and powerless a lot of my life because I now realize I gave my power away. Who knew I had power? What a revelation! However, that victimhood belief has been in there for over 6 decades, going to take a while to dislodge and clear it out. If not now, when? In looking at just one entry for knee problems, she writes it is “Stubborn ego and pride. Inability to bend. Fear. Inflexibility. Won’t give in.” I have been thinking I am not quite willing yet to actually give up being a victim – much too comfortable and familiar at this point. Then I have to ask myself “What would happen if I did let it go?”. That would be a radical attitude overhaul. Then what would I replace it with as a positive attitude? I have been in this same mentality for a long time, I am now on autopilot. It takes a conscious effort to say “Thanks for sharing ego, I choose something different”. I am getting better at noticing when ego pops in with her 2 cents worth, I hadn’t recognized before or even understood what was happening. I have held on to all the hurts, anger and resentment of things people “did to me” – hugging them to myself as proof of what a victim I am and how mean people have been to me. As Dr. Phil asks: “How’s that working for you?”. Not very well. I don’t like feeling like a victim any more, it is too much of a powerless feeling now. The curse of being a good girl, following the rules and doing what I’m told. It is hard to break out of that at the moment, it is getting better and I am more often I have to look this one up as well able to do and say what I want. So holding on to victimhood, all the hurts, anger and resentments – is that where I am stubborn? Or not loving myself in spite of all the evidence to the contrary? Looking at things from the negative view rather than the positive? At this point I am not sure if there is one definitive answer or a series of different answers. I am certainly open to any ideas or opinions to help clarify it. I have probably gotten too close to it and overanalyzing again. Maybe if I go take my shower and get dressed, it will seem clearer to me. Not willing to change ideas, beliefs or decisions – Something or someone who is inflexible cannot or will not change or be altered, even if the situation changes. Does not bend. Hmm, I keep thinking that doesn’t sound like me – I feel as if I am easily persuaded and let people talk me into something. When I know that I know something but I allow someone to talk me into something, I kick myself for not listening to my higher self. There are many times when I don’t trust my higher self, that I still look to others for validation instead of from inside myself. I suspect that both terms have more to do with my beliefs about myself than anything else. I was hoping that as I thought about this and wrote about it, I would have a better idea what is happening so I can clear any negative energy and understand better. I suspect I will have to put it back on the back burner again and check back in a while. I would be open to any ideas or explanations. I suspect I am still too close to it to be objective. 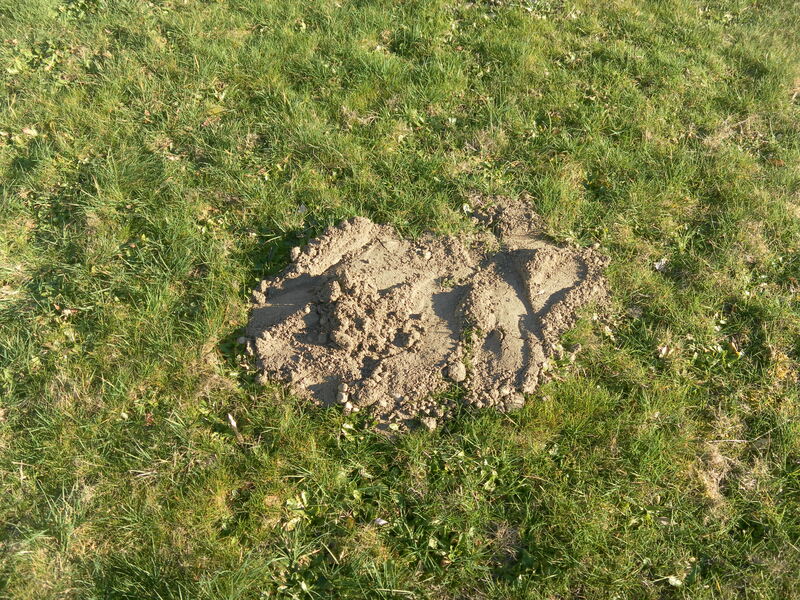 We have been having moles for a long time now, but I find I don’t have to do anything about them because my next door neighbor goes after them with a vengeance. She wants to be sure they don’t come into her lawn. I noticed a couple of weeks ago by the drive were some tiny piles, as if the mamma was teaching her babies how to do it – some test holes to make sure they have the hang of it. Over by the street there were some that were a bit larger, I think the teenagers were practicing their skills. After all, what kind of parent doesn’t teacher their young the skills they will need for life. There are times when I think the moles are oblivious to us humans, spending all that time underground makes the chances of encounters with humans slim to none. Wonder if they come above ground when it’s dark. To be honest, I don’t think I have ever seen a mole. So I decided to look it up on Wikipedia and this is what I found. 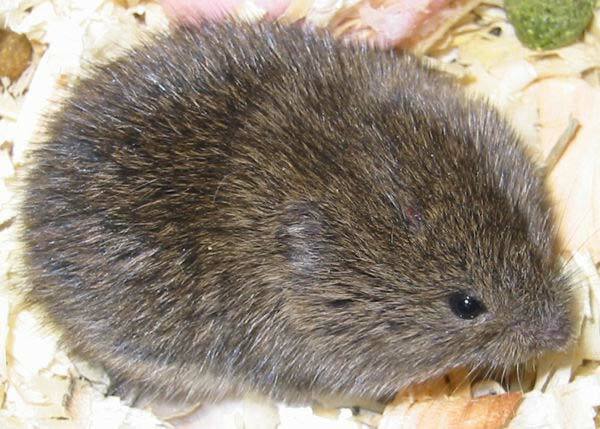 Moles are small cylindrical mammals adapted to a subterranean lifestyle. 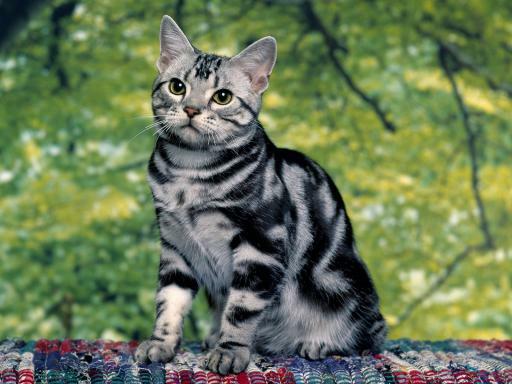 They have velvety fur; tiny or invisible ears and eyes;[clarification needed] relatively atrophied hindlimbs; and short, powerful forelimbs with large paws oriented for digging. 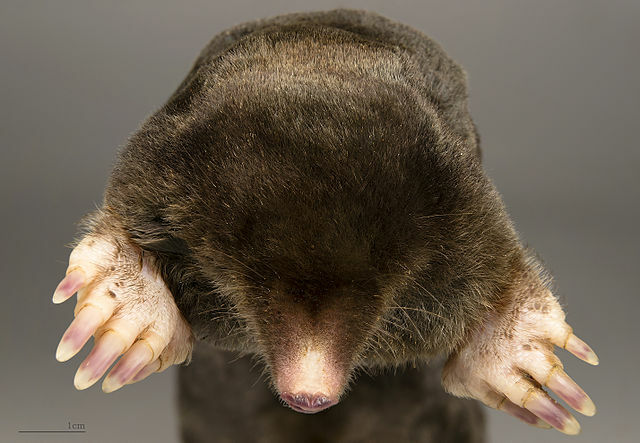 The term is especially and most properly used for the true moles, those of the Talpidae family in the order Soricomorpha found in most parts of North America, Asia, and Europe. 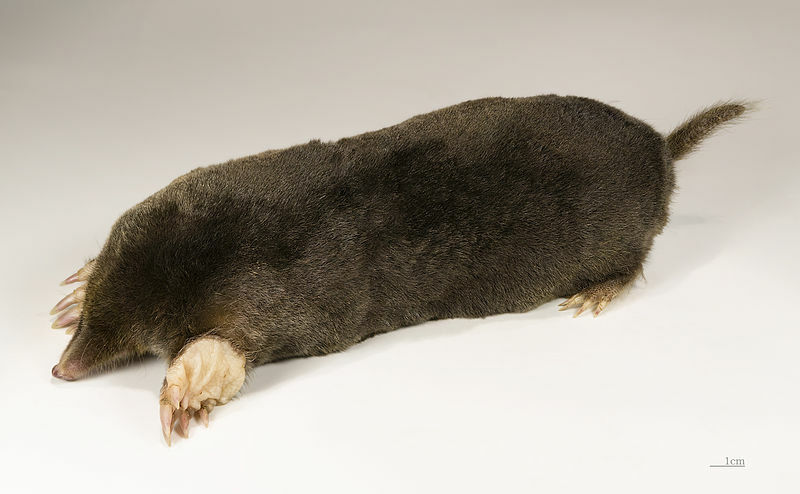 It also refers to other completely unrelated mammals of Australia and southern Africawhich have also evolved the mole body plan; it is not commonly used for some talpids, such as desmans and shrew-moles, which do not fit the common definition of “mole”, as well. I have to admit, I am intrigued by the “velvety fur”, but not enough to come face to face with one and hold in my hand..
Now there have been times in the past when my Mom has said we had voles, so I check out Wikipedia again to see the difference. They are kind of cute and more a mouse while a mole is in the muskrat or shrew family. However, as I read more about them, now they don’t seem so cute. They can have five to 10 litters per year.Gestation lasts for three weeks and the young voles reach sexual maturity in a month. 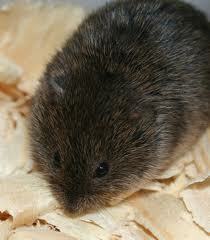 As a result of this exponential growth, vole populations can grow very large within a very short period of time. Since litters average five to 10 young, a single pregnant vole can result in a hundred or more active voles in less than a year. No wonder they multiply so quickly! 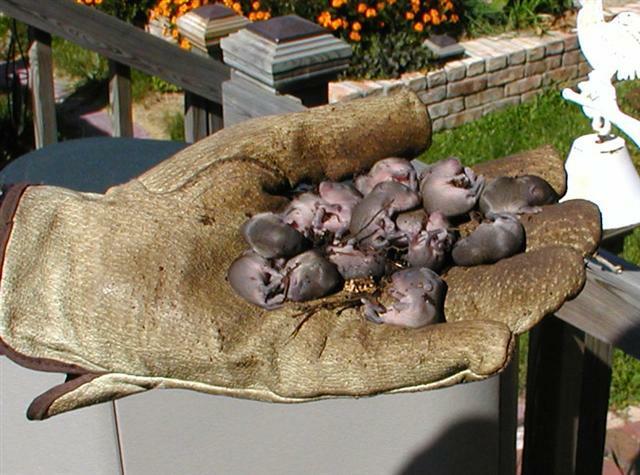 Hmmm, maybe those little piles were voles and not baby moles. However, reading a bit more , I learned something not too wonderful. Voles will often eat succulent root systems and will burrow under plants or ground cover and eat away until the plant is dead. Bulbs in the ground are another favorite target for voles; their excellent burrowing and tunnelling give them access to sensitive areas without clear or early warning. The presence of large numbers of voles is often only identifiable after they have destroyed a number of plants. However, like other burrowing rodents, they also play beneficial roles, including dispersing nutrients throughout the upper soil layers. Now we know why Mom’s yellow crocus didn’t come up after she planted them, no doubt some little burrowing animal enjoyed a lovely snack. Now why didn’t the creature eat the purple and the lavender ones, they keep coming up every year – no yellow. 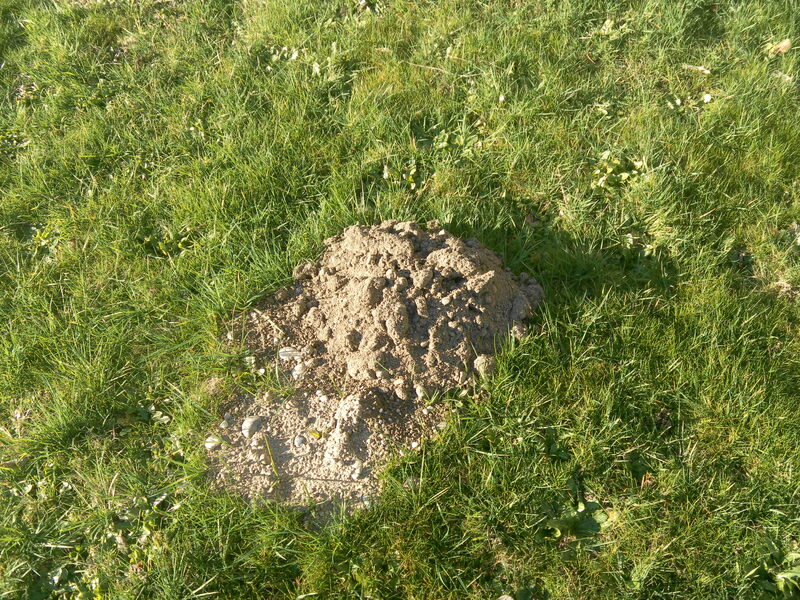 However, since our lawn is more dandelions than grass, I don’t get all hot and bothered about little piles of earth. It’s my neighbor who gets agitated because she wants to keep them from coming over and do a number on their little square of lawn. Actually, I find I find it rather entertaining. 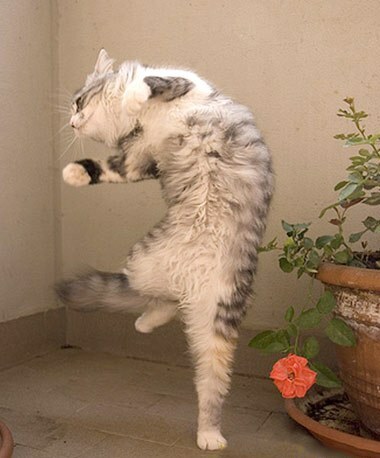 This week was not a happy dance week – we found out Wednesday our mortgage is on hold again – this time because of Fannie Mae. Seems there is a technicality that applies to us even though we didn’t buy the house. If you buy a house, you can’t take out a loan until you have had the house for six months. Since it was September, we have to wait until the end of March for our loan to be started again. We could have just done a loan for the home equity amount and closed this month, but sure as I’m a foot high, we would never feel we could afford a kitchen remodel later. So it is waiting again. This week especially has been putting together all the tax stuff for my appointment with our tax man. That also included Mom’s as well. I have spent this week putting things together and Friday I was here all day – by the evening I was so tired I went to bed about 8:30. I made the appointment for Saturday so Eddie would be free to go with me – no such luck. He was meeting a bunch of twitter geeks with the Marketing Director for the Future of Flight for a tour of the 737 factory in Renton. Now why would he prefer to do that than do taxes with me? Monday I had a Roadshow up in Lynnwood with some of the suppliers I know. I will admit to feeling a bit adrift, I haven’t been able to do much with my business for the past 2 years. I felt almost a beginner, but I am glad I went. 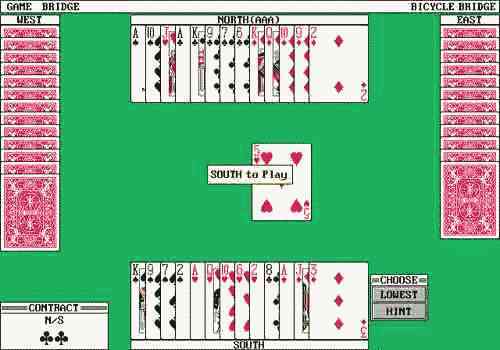 Then in the afternoon I was asked to play bridge with the neighbor ladies again, this time down the hill at Mary Lou McCormick’s. Delores came to pick me up and we walked down – believe me, I went very slowly. At one point Delores told me to watch out for the speed bump; I said I wasn’t going fast enough to be concerned. they have a modern house – probably in the 50’s with a deck facing the water – they don’t have any trees to block any of the view. Turns out they were one short, so Ralph joined us for the afternoon. It was not my day to have good cards, I ended up with the booby prize for the lowest score. I just enjoyed playing and being with the ladies. The day was a completely different set of things outside what I have been doing and I liked the break. I am definitely no threat to Omar Sharif. Eddie and I even had an evening out – you might cal it early Valentine’s Day treat. My breakfast group had a social on Wednesday evening and we had a really good time – about 18 of us – members and spouses – and although it was a bit noisy, we all had fun. We took Debye – my massage therapist and very good friend – home since she was only across the parking lot. She was kidding she had to watch out not to run into cars as she walked home. The waiter offered to walk her home. Next morning she was bright-eyed and bushy-tailed for my massage. Since Eddie and I went to bed a little while after we came home, I was feeling good as well. 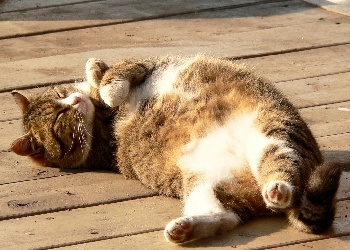 This is me for the next week – yes, I had to put in a cat! Tomorrow is a holiday but Eddie is working, then taking off Tuesday. He wants me to go with him while he has his car serviced, I have to go to my rheumatologist for service. It’s either a 4 or 6 month check in. She hasn’t really changed my meds or what I am doing – according to her I am holding my own. We’ll see if she mentions Orencia on Tuesday. Tomorrow is just for me, I don’t have to go anywhere and I have done everything necessary – Medicaid is done, taxes are done – no glitches I hope – nothing for the loan for a bit and things are calm at the moment. Almost to the end of the tunnel and I see daylight, not a train rushing toward me. At last, a few moments of peach and quiet. Next project is cleaning out the house – one bit at a time. May this next week be calm and peaceful for everyone. I have a blog post I am working on but have come to a standstill at the moment. However, I have started a new blog called Catless In Seattle. I came about by accident, I was commenting on another blog about cats and Russell asked if I had any cats. 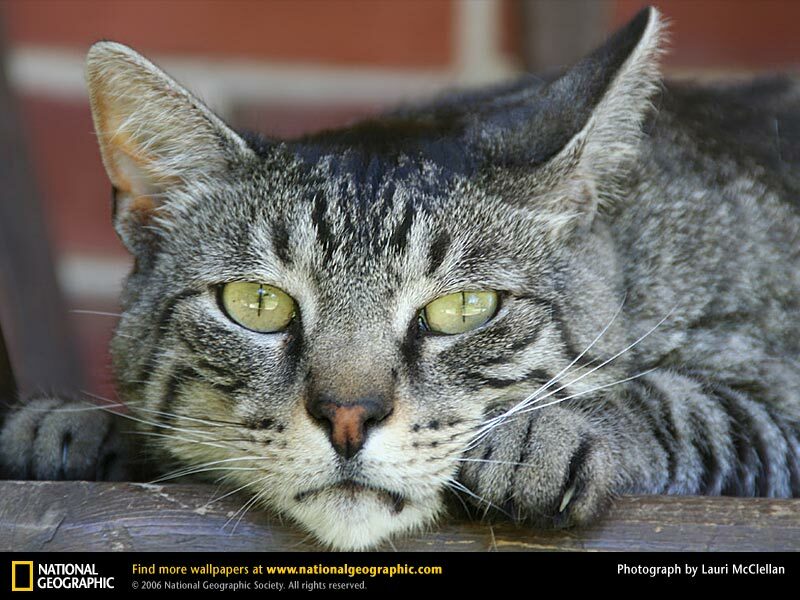 I said no, I am catless in Seattle – he thought it was a great blog title. I found myself creating a new blog and buying the domain name before anyone else did. I only have a couple of posts plus I reblogged 2 posts from Russell – he has Caturday every Saturday and it is hilarious. The blog is in its early stages and I am not sure how it will develop, it is fun and these days I am all about fun. I am open to suggestions, critique and ideas. I just talked to the case manager for Mom’s Medicaid and it now official – she is approved! After all the paperwork since the end of October, all the figuring how to meet all the requirements and most of all the help from Dave Mom’s attorney, it is finally a reality. I think I have been uptight and tense about this and didn’t think I could relax until it was official. 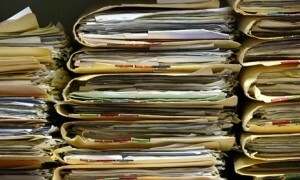 Life for the past few months has been a series of people wanting paperwork. First it was Providence to enroll Mom in their PACE program – there was a list of things they wanted me to provide, then after 6 weeks she was accepted – more papers to sign. Then it was the beginning of Medicaid and also a loan for the house to pay off the home equity loan as well as money to redo the kitchen. That went on hold until Medicaid was satisfied, now it is back in the works. I am hoping the papers will be ready to sign in the next week or 2. While that was happening, I had a last-minute presentation for Breakfast Club. I was due to present on the 20th, but the fellow scheduled for today wasn’t going to be there and Carol asked if I would do it. I already had an idea of what I was going to talk about, but I had to write it and get my samples ready to hand out. Along with all of that, I have been getting things ready for taxes – the appointment is on the 16th. The presentation is done and I think I just have to deal with the tax stuff. So the theory is I have time enough to do tax stuff and maybe finally getting back to writing my blog regularly again. I have missed it and find myself doing something and suddenly think about something that would make a good blog post. Of course, when I come to write, I can’t remember the brilliant things I thought about at the time. Rats!!!! I have been going to visit my Mom about twice a week. Last Friday I was due to pick her up about 11 so we could go to lunch and then have haircuts. When I got there, she was still in her robe and nightie – she had refused to wash or dress or do anything to be ready. I wondered why her curtains were closed and her bedroom door also closed. I wondered if she had gone back to sleep after breakfast. So I went in and I was remembering one thing Kathy had told me – always give her a choice. I sat and talked to her see what was happening. I told her she didn’t have to have her hair cut that day, I would arrange it for another day; I also said I was going because I needed a hair cut. She decided she would wash and get dressed and go with me. We didn’t have time for lunch, just a haircut; Mom went first and decided to keep it long. Then it was my turn. When we finished, she said she wanted to go home. When I pulled in the drive at her home, she seemed disappointed – I think she thought we were coming here. Since she hadn’t had lunch, Judy fixed some for her and I left shortly after that – I was hungry since I didn’t have lunch either. They had tried a new med and so far it keeps her awake at night and she sleeps during the day. Judy and Didi are working with the Center to find a solution. Mom’s doctor and the nurse and others at the Center are also looking for a solution. Apparently she sleeps well the days she goes to the Center – she is exhausted when she comes back. They are looking in to having Mom go a third day – has to go through channels. She didn’t go on Monday because she refused to get washed and dressed. As for me, I have finally rested enough to sleep. I go to bed around 9 or 9:30 at night and wake up around 8 or 9. When I have to get up early, I wonder if I will wake up in time. So far it has worked out fine. I am sleeping all night and usually comfortably – I do have times when I am too uncomfortable to sleep, it is getting better. Last week I took a photo album that Dad made of Mom’s family. There was a suggestion that would be something she would enjoy. It was in an album that Kathryn (Mom’s step mother) gave them and Dad labeled the picture – thank goodness. So we sat on her bed and I described the pictures and read the names; she really enjoyed that. She wanted to know if she could keep it and said absolutely! When I came back the next time Jan told me she was so pleased with the book and was saying it was all her relatives. She has up and down days – now she calls everyone Elizabeth. My sister Ellen called on the Saturday I went to see her and Mom said Elizabeth had called that morning. She also introduced me as her cousin Betty one day – I am learning to go with the flow. Sometimes I wonder what is going on inside her brain, other times I’m not sure I want to know. Reminds me of having the same curiosity about the cats – except I realized I definitely didn’t want to know what the cat was thinking.